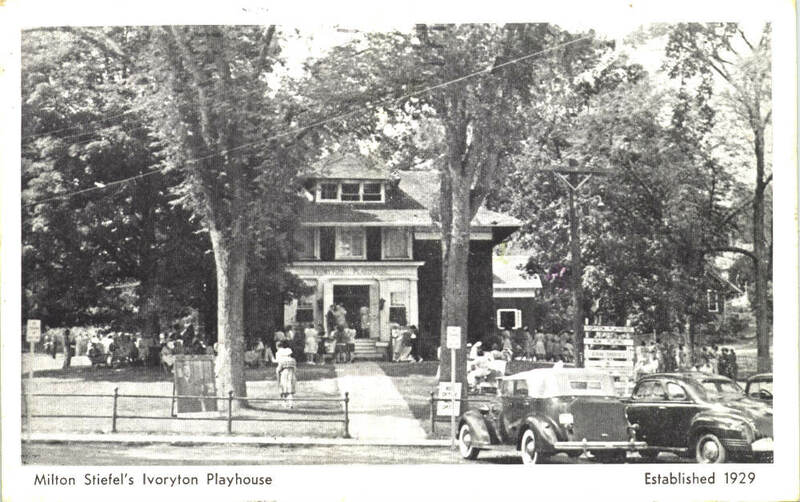 On June 17, 1930, the Ivoryton Playhouse opened with a production of the play Broken Dishes, which had just closed in New York. The 19-year-old shingled structure had been opened in 1911 as a recreation building for employees of the Comstock & Cheney Company, a hugely successful ivory-cutting firm founded in the 1800s, but was no longer being used for that purpose. While visiting Essex, New York theater entrepreneur Milton Stiefel saw the building and decided it would be ideal for a summer playhouse. Connecticut luminary Katharine Hepburn performed on the playhouse stage, as did other notables such as Cliff Robertson and Norma Terris. Today the playhouse logo bears a silhouette of Loxodonta Africana, the African elephant so deeply linked to the rise of Ivoryton.